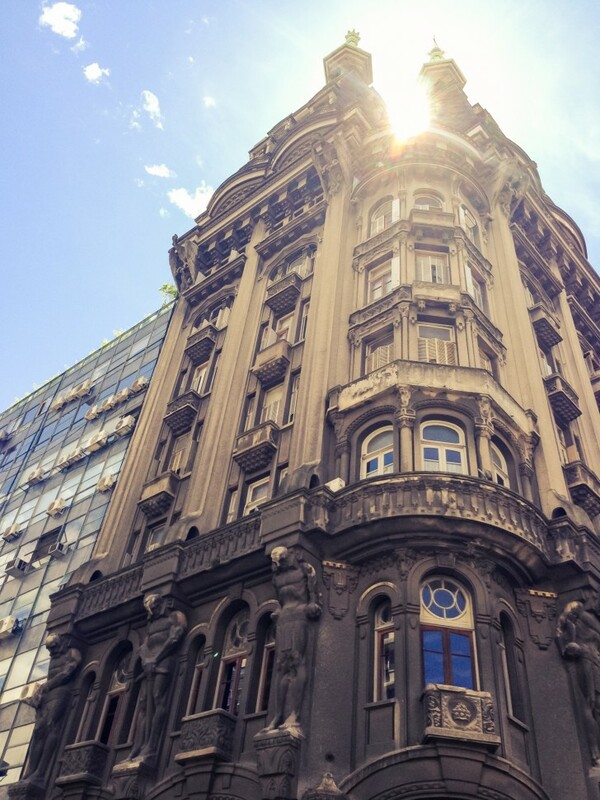 Everything and everywhere you need to dine in the Argentinian capital. 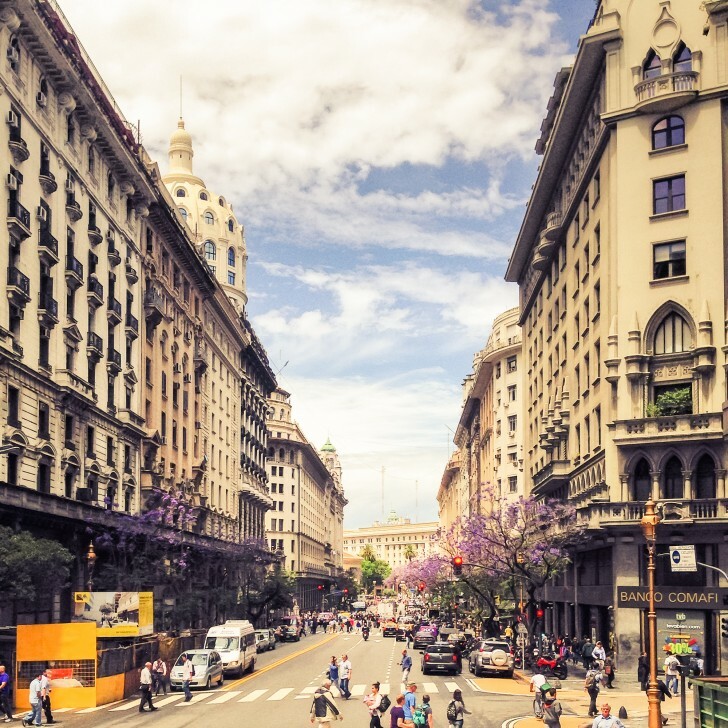 It’s nearly impossible to narrow down the best things about Buenos Aires: the beautiful people, the architecture, the nightlife...the wine. All the wine. What brings all these things together, though? Food! 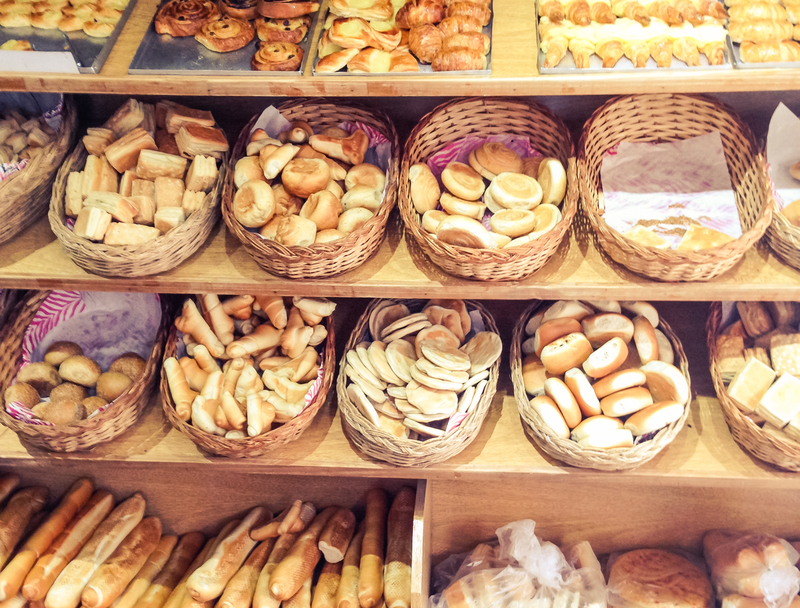 Argentinians are never not surrounding themselves with delicious food. Whether your tastes lean more towards traditional asado (that’s coal-fire BBQ, friends) or milanesa (sort of like a schnitzel) washed down with Fernet and orange juice (or Malbec if you swing our way), or more towards the refined (oysters! ), we’re pretty sure you’ll get your fill. The first rule of dinner in Buenos Aires is: don’t make a reservation before 11 PM. Chill, take a siesta, have some maté (a must try!) and facturas or media lunas (sweet pastries) to hold you over—just don’t head out before the sun has been down for at least two hours. 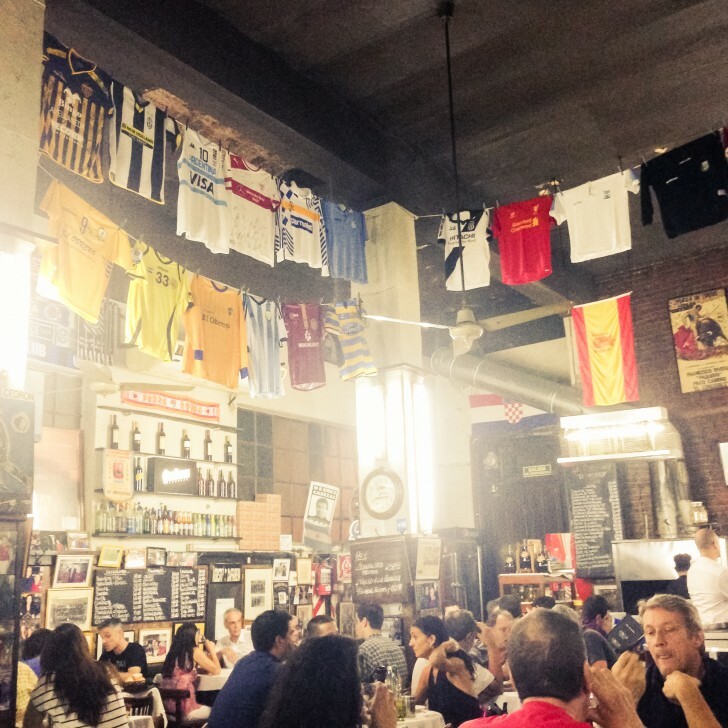 Here’s an insider-y tip: if the walls of an eating establishment are collaged in futball paraphernalia, the tables and chairs are wooden and mismatched, and there’s a loud, crowded line congregating outside the front door, join them. El Obrero is as traditional as it comes. 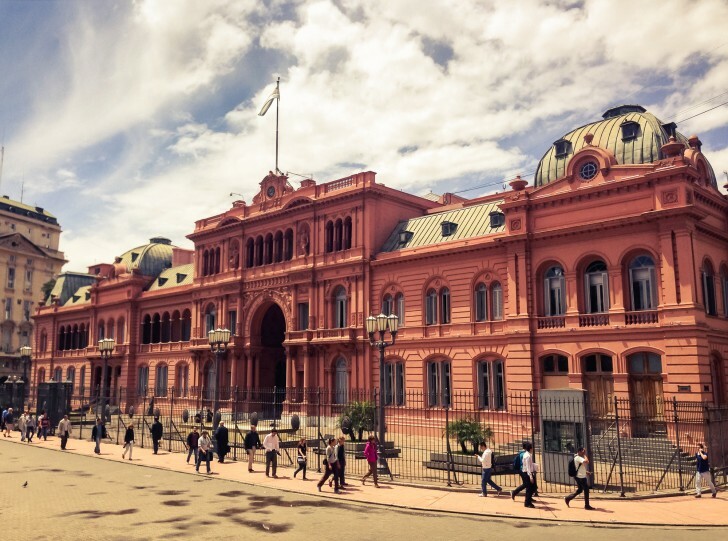 There’s nothing fancy here but the food is GOOD—go for a plate-sized milanesa napolitan con chips (translation: an Argentinian take on a veal or chicken parmigiana topped with ham and a side of hand-cut fries) or homemade chorizo. 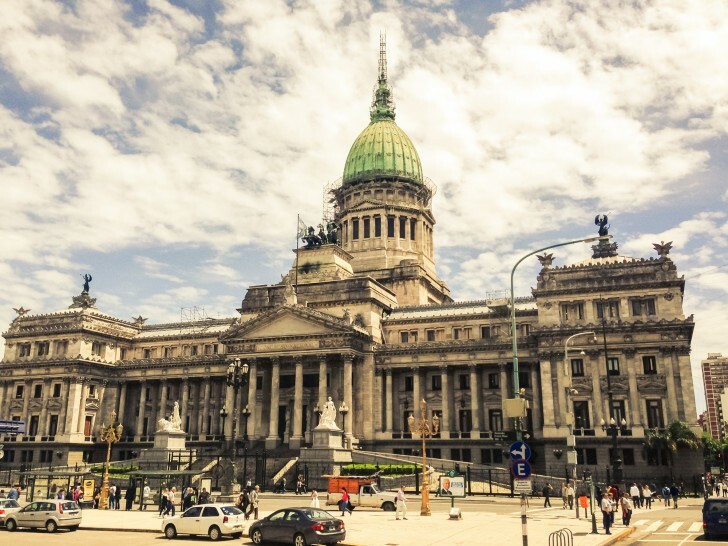 Or better yet, go family style—Latin Americans share everything. Cool off with a Quilmes or more wine (! )—just don’t expect it to come in a wine glass. *Warning: you’re going to feel like you need a walk post-meal, so stroll (waddle?) through the colorful La Boca neighborhood for a damn good photo opp. Up for more of a fancy night out? 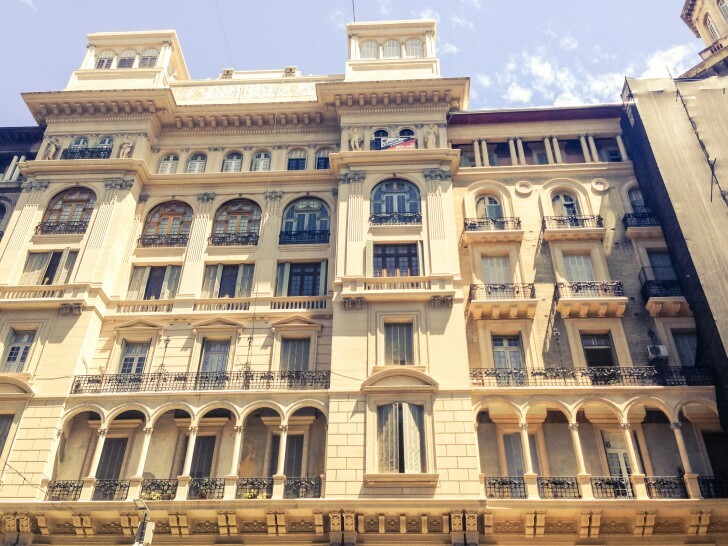 Nuestro Secreto at the Four Seasons in the Recoleta neighborhood (the most beautiful neighborhood in Buenos Aires in our opinion), is a must. Try the Argentinian version of a BBQ: over an open coal-fire and surrounded by (new) friends. It’s as much about the company as it is the food. What would a trip to BA be without tango? Nothing! Jk, kinda... But Bar Ocho Esquinas cannot be missed. This tiny establishment isn’t something you’ll find in any guide book, and English-speakers are unicorns, but the experience you’ll have here is bar none. Go for the charcuterie and order a bottle of Malbec—you’ll spend the entire night listening to live tango music. One word: Oysters. Patagonia-farmed and as fresh as you can get. Guys, BA is not a place to limit your indulgences. Especially when it comes to ice cream. Volta is the equivalent to a Starbucks—you’ll hit one on every corner. A personal favorite flavor is one scoop of white chocolate and one scoop of dulce de leche (because, vacation!). And just in case you can’t find a Volta (we’re being hypothetical here), Fredo is a close second.